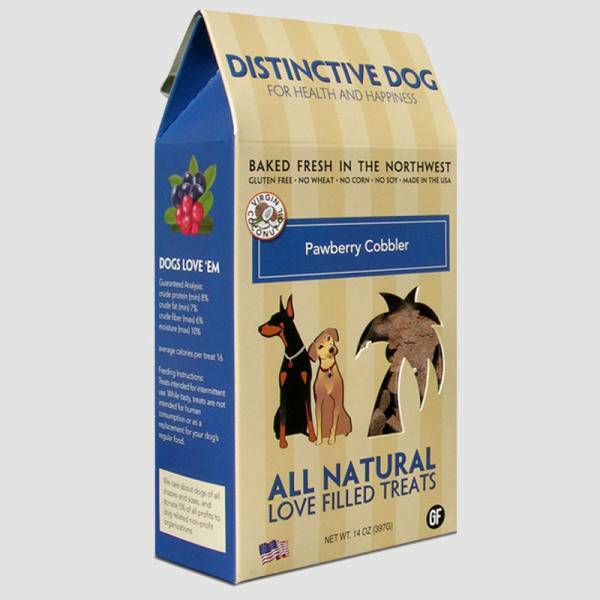 Distinctive Dog bakes healthy dog treats unsurpassed in distinction, health, and fun. Our coconut oil dog treats are baked from wholesome ingredients dogs love. 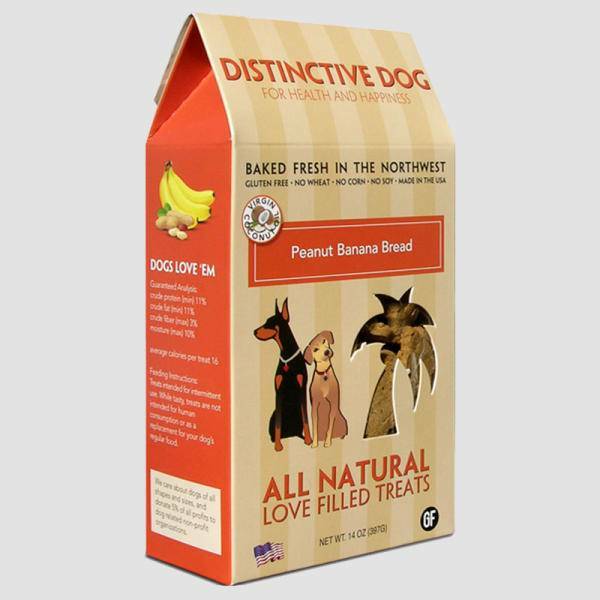 Distinctive Dog treats are sourced in the United States and made from human-grade ingredients that dogs can easily digest. 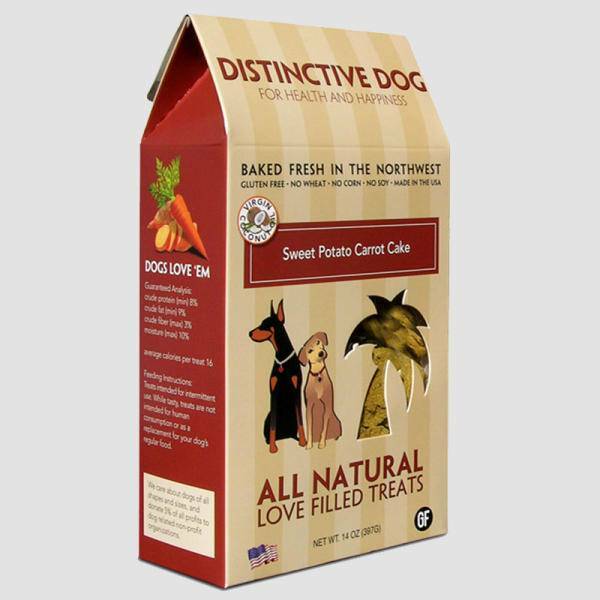 We’ve carefully selected these ingredients to create healthy, yummy treats for your dog. We care about the health of all dogs. That’s why we use only high quality ingredients including virgin coconut oil, blueberries, natural peanut butter, bananas, sweet potato, pumpkin and coconut flour. 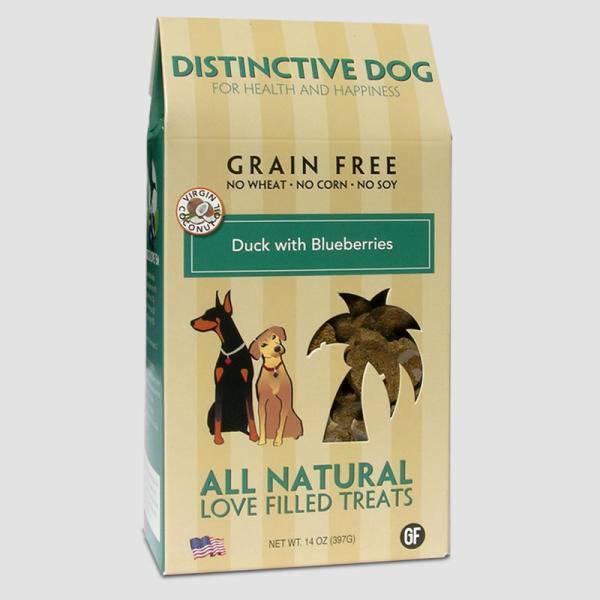 All of our healthy dog treats are also gluten-free and grain free dog treats so your dog can easily digest and absorb important nutrients they need. Ingredients: Buckwheat Berry Flour, Coconut Flour, Natural Peanut Butter, Coconut, Blackstrap Molasses, Non-GMO Canola Oil, Organic Virgin Coconut Oil, Rosemary. Ingredients: Buckwheat Berry Flour, Organic Coconut Flour, Apple Bits, Blackstrap Molasses, Non-GMO Canola Oil, Ginger, Organic Virgin Coconut Oil, Cinnamon, Apple Spice, Rosemary. Ingredients: Buckwheat Berry Flour, Organic Coconut Flour, Pumpkin Powder, Cranberries, Blackstrap Molasses, Non-GMO Canola Oil, Organic Virgin Coconut Oil, Cinnamon, Pumpkin Spice, Rosemary. 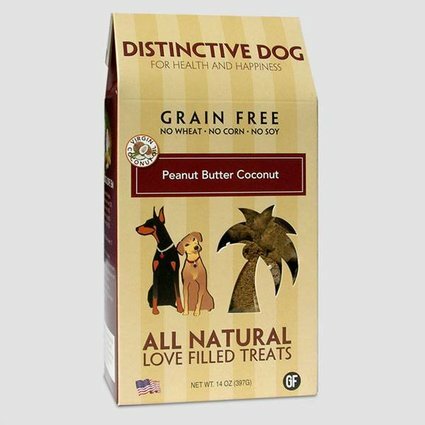 Ingredients: Brown Rice, Oats, Organic Coconut Flour, Natural Peanut Butter, Dried Banana, Blackstrap Molasses, Non-GMO Canola Oil, Virgin Coconut Oil, Vanilla, Rosemary. Ingredients: Organic Brown Rice, Oats, Organic Coconut Flour, Chicken Liver Powder, Non-GMO Canola Oil, Blackstrap Molasses, Virgin Coconut Oil, Parsley, Rosemary. Ingredients: Organic Brown Rice, Oats, Organic Coconut Flour, Cranberry Powder, Blackstrap Molasses, Dried Blueberries, Non-GMO Canola Oil, Virgin Coconut Oil, Natural Flavor, Rosemary. Ingredients: Organic Brown Rice, Oats, Organic Coconut Flour, Sweet Potato, Carrots, Blackstrap Molasses, Non-GMO Canola Oil, Virgin Coconut Oil, Cinnamon, Turmeric, Rosemary.